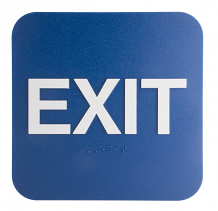 EXIT SIGN WITH BRAILLE 6" X 6"
MEN SIGN STRIP 6" X 1-3/4"
WALL ADA GIRLS W/CHAIR & BRAILLE SIGN 6" X 9"
WALL ADA MEN W/CHAIR 6" X 9"
WALL ADA WOMEN W/CHAIR 6" X 9"
WOMEN SIGN STRIP 6" X 1-3/4"
Equiparts supplies signs for commercial/public washrooms. 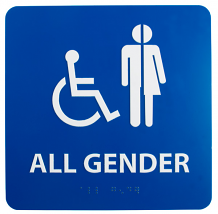 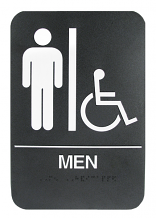 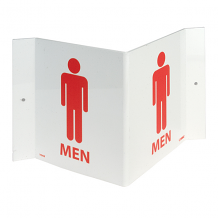 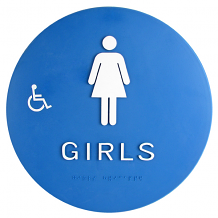 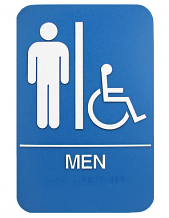 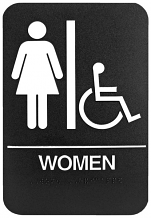 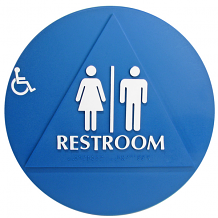 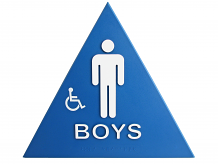 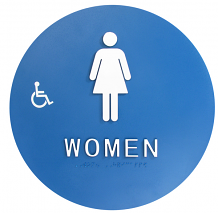 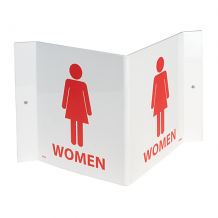 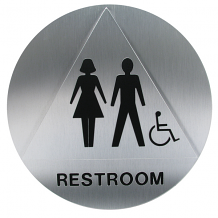 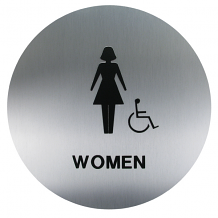 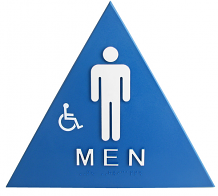 Our inventory of restroom/washroom signs include ADA door and wall signs for Mens/Boys - Womens/Girls restrooms, Exit signs, Braille signs for the vision impaired, and more. 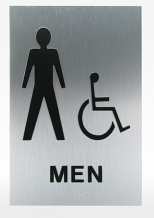 Call 1-800-442-6622 for pricing or general inquiries.